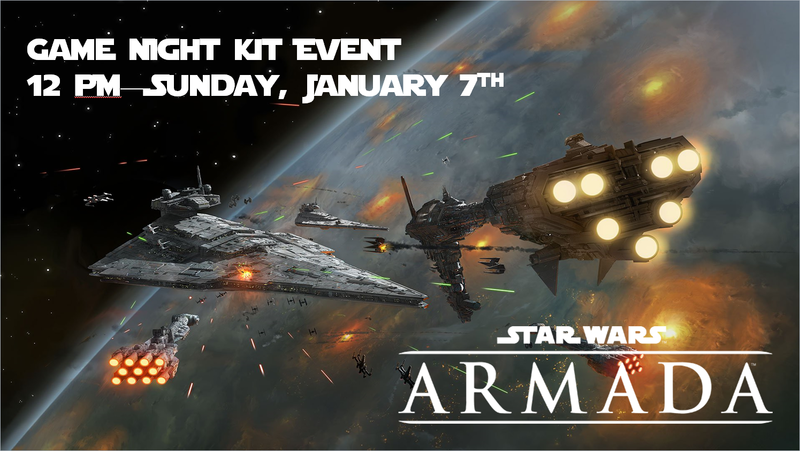 Join us for a fun day of Star Wars fleet combat on Sunday January 7th. Prizes will be in the form of various Game Night Kits. The event will begin promptly at 12pm. Fleet lists will not be required for this event.